Ten Speed Press, 9781607743415, 256pp. This alternative college guide from a former Dartmouth assistant admissions director-turned-consultant gives non-straight-A students advice on the many options available to them and tips on how to identify, gain admittance to, and pay for the schools that will allow them to flourish. 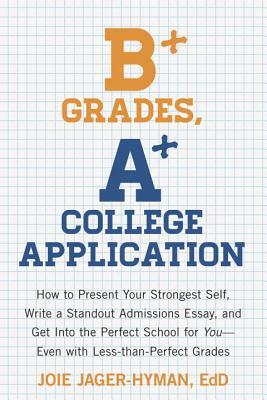 BONUS: Includes an appendix of 130+ selective colleges to consider! JOIE JAGER-HYMAN, EdD, served as assistant director of admissions for Dartmouth College. After completing a doctorate in education policy at Harvard University, she founded educational consulting company College Prep 360. Dr. Jager-Hyman lives in Brooklyn, New York.